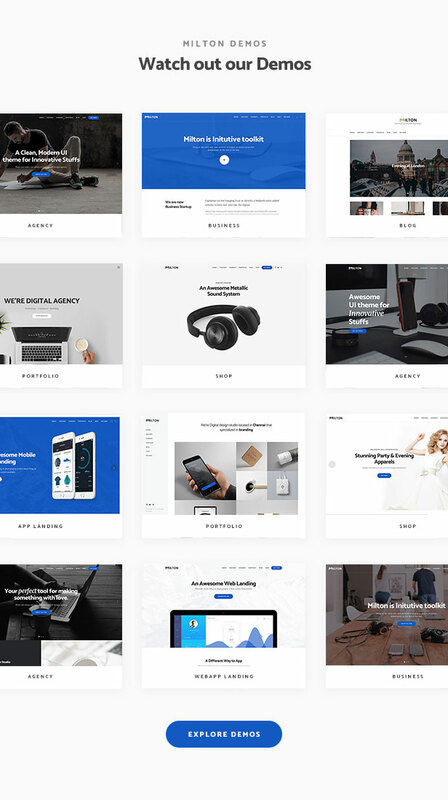 Milton is a versatile responsive WordPress theme with 13 modern demos & Visual Composer for building any kind of website imaginable. Incl 6 months support. 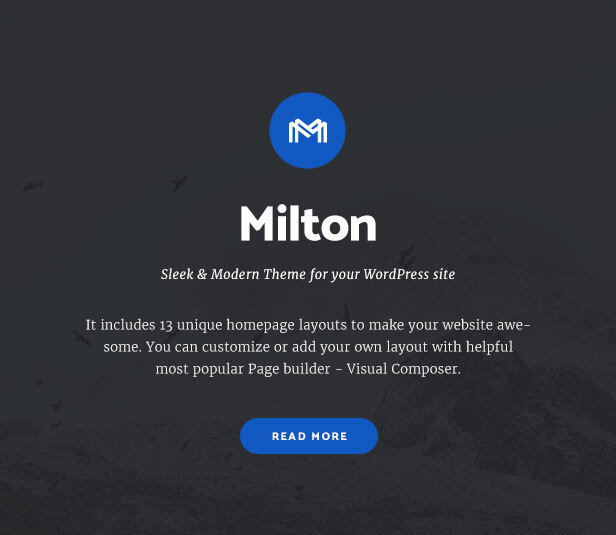 With fastidious attention to detail, Milton has been designed and developed from the ground up with the incredible best settling Drag & Drop Page Builder (fully inclusive), to bring you a very unique looking website for those wishing to creating something outstanding. 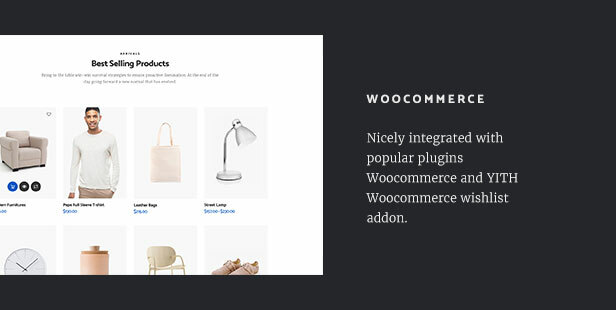 With over 13 current layouts pre-built right out of the box, and the easy to use Demo Importer, you will be up and running with no fuss in the shortest time possible. 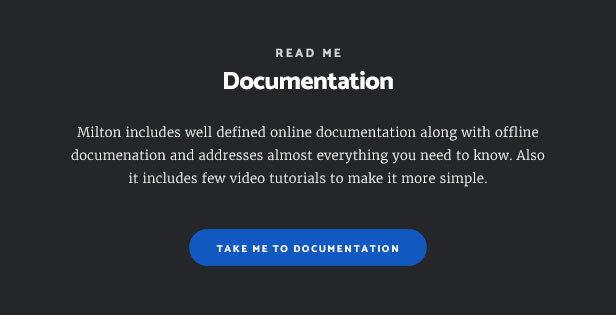 Milton’s templates ­ no coding required. 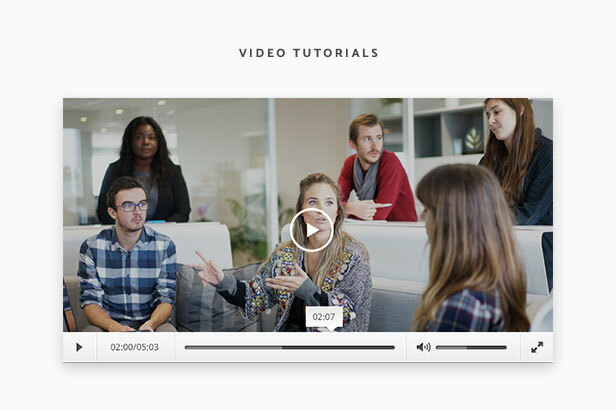 Well crafted Visual Composer comes with Milton. 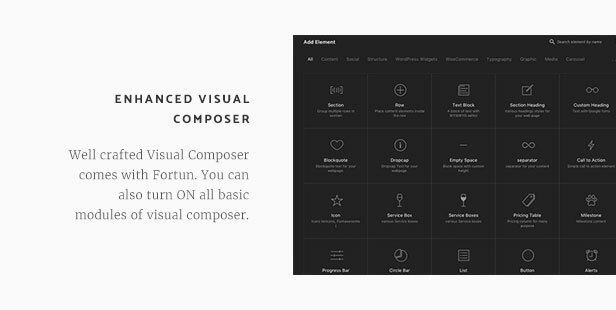 You can also turn ON all basic modules of visual composer. 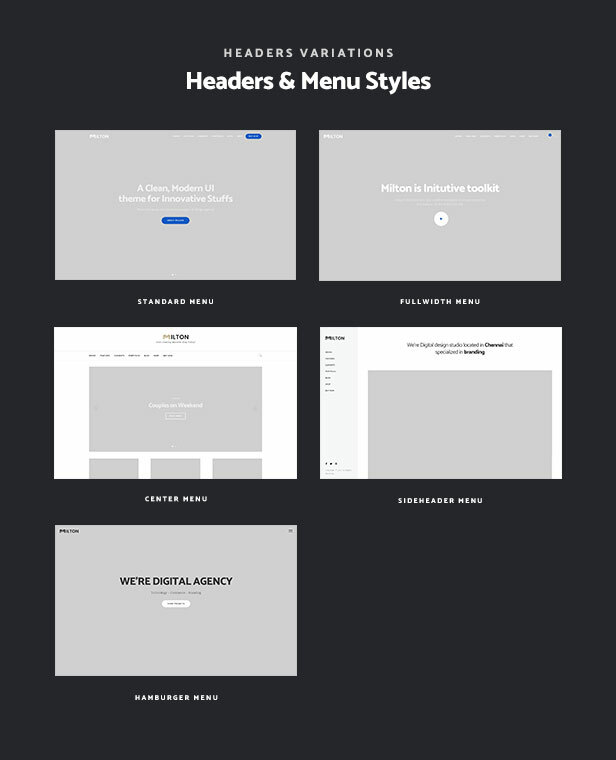 Simple drag & drop is enough to create a beautiful template. 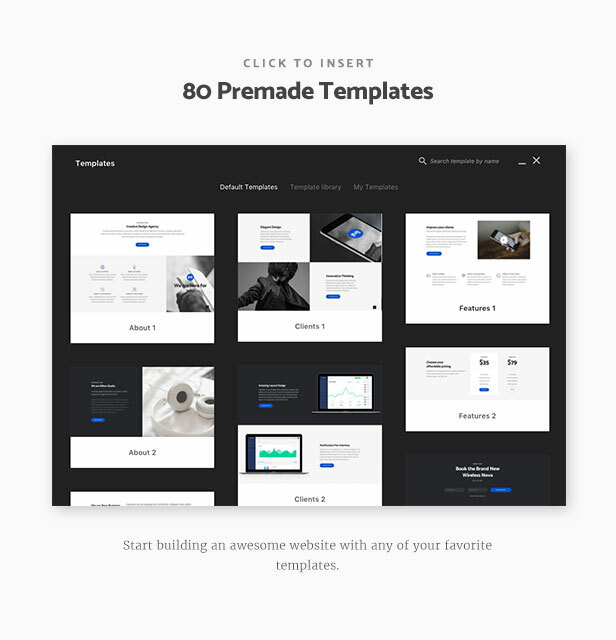 Milton includes 80 pre-designed templates to start with. You can simply click to insert and start customizing the webpage. 4 Unique sliders have been created especially for Milton. 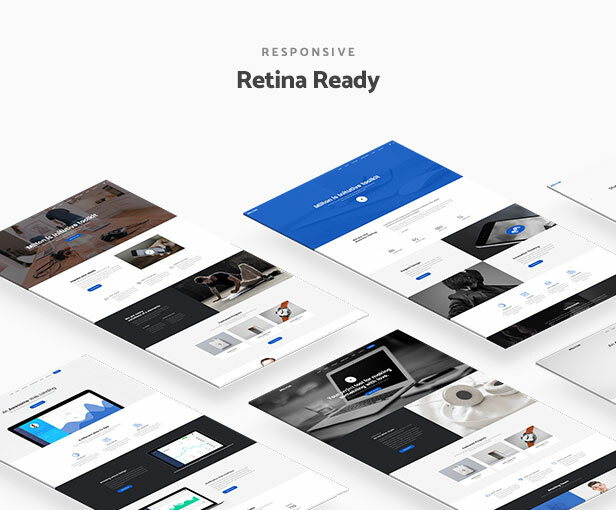 Even you can create your own slider using revolution slider. 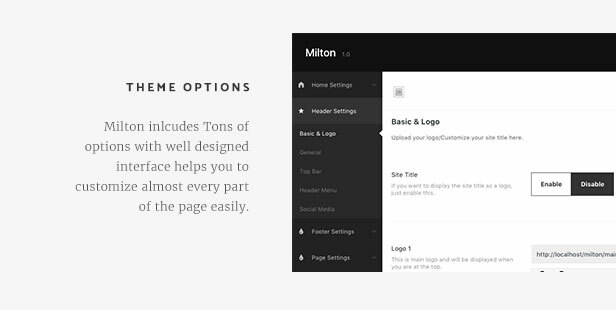 we also provide any revolution slider examples on request which you’re seeing at Revolution slider plugin’s page after purchase of Milton. Milton has been tested completely with WPML & qTranslate X plugins. It also has an unique language bar at header menu. You can choose the fonts individually for all H tags, body tag. 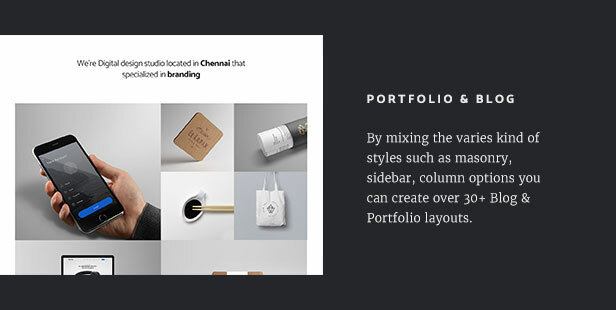 You also can include your own fonts/typekit fonts via unique tools which comes with Milton. 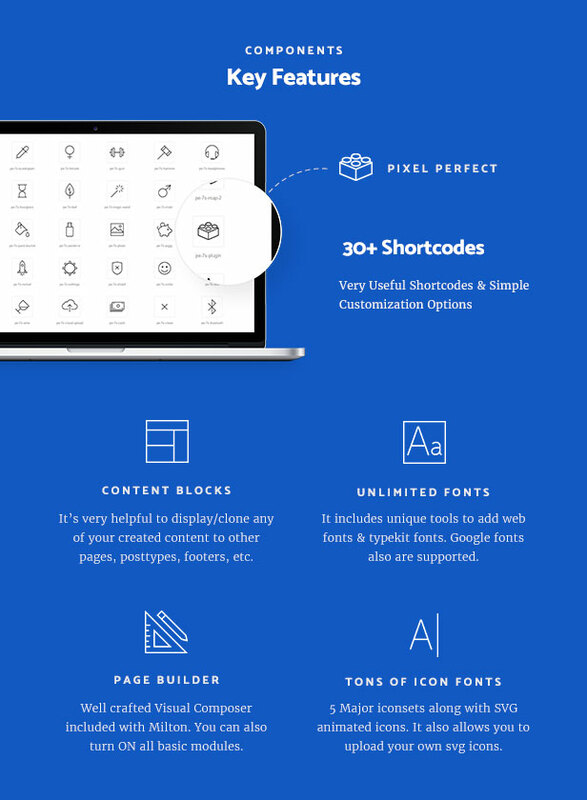 Milton comes up with 5 font libraries linea, stroke, ionicons, font awesome, medical web font icons. You can pick any icon from the list of 2500+ and you also can upload your own svg icons. Let your visitors notify you’re unavailable or you’re preparing to launch by turning a switch ON. Milton uses Redux framework which helps you to control almost everything with help of user-friendly interface. Milton completely compatible with language like Hebrew, arabic. Fix : Custom fonts extension duplication issue. Fix : Instagram widget display issue. Fix : Agni slider minor css alignment issue on IE. 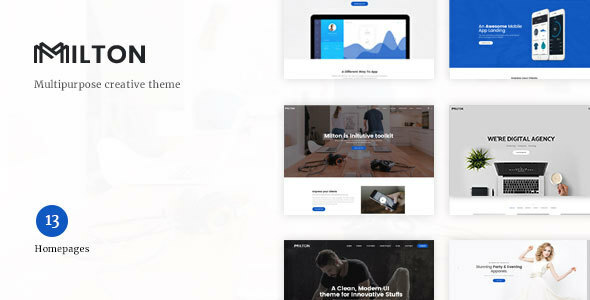 Added : Envato Market plugin has been included. Added: Additional style (default map) for Google map shortcode. Fix: Custom fonts delete button bug. Fix: Minor issue on accordion shortcode.